This version of a Solitaire game became really popular between four royal families a long time ago. They used to battle each other with card games, but because they couldn’t stop playing, they became stuck inside the cards ever since. It is your goal to free these families so that they’re no longer trapped and can be together again. All you need to do is place the cards on top of the ones that are one higher value in a different color and just be careful with the time limit! 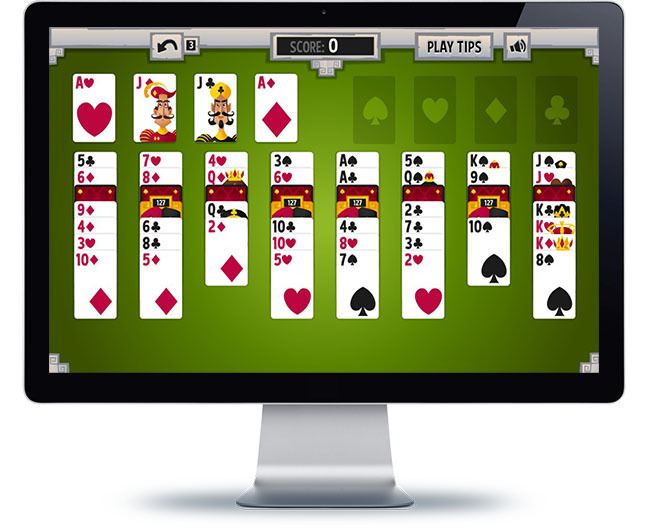 Your ultimate goal is to get all 52 cards placed onto the four empty spaces on the upper right side of the game field, and to stack the cards from Ace to King by the same suit. To order the cards on the table, they need to be stacked on top of another card that is one higher in value and that is in a different color. It is possible to drag an entire chain of cards when they are stacked correctly. You can also use the Jokers to help you receive extra points!